According to the IRS, more than two million Individual Taxpayer Identification Numbers (ITINs) will expire by the end of this year. Although the IRS has increased its staff in preparation for the influx of W-7 applications requesting renewal, it’s still a good idea for taxpayers who need to have their ITINs renewed to submit their applications as soon as possible to beat the rush and avoid refund delays in 2019. If you live in Florida and need help filling your own ITIN renewal application, you should consider speaking with an experienced tax and IRS law attorney who can ensure that your request is submitting correctly and on time. ITINs are utilized by taxpayers who have filing or payment obligations to the U.S., but are ineligible for a SSN. 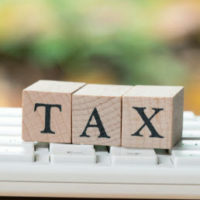 Affected taxpayers who fall under this category should begin receiving notices from the IRS, explaining the renewal process. This includes spouses and dependents who are living in the U.S., although relatives living outside of the country are excluded unless they anticipate being claimed for a tax benefit or are planning on filing their own tax return. There is an exception, however, for deductions for personal exemptions, which have been suspended through 2025 by the Tax Cuts and Jobs Act. For this reason, spouses or dependents who don’t reside in the U.S., but who would have been claimed for a personal exemption benefit alone are not required to renew their ITINs. As a result of the passage of the Protecting Americans from Tax Hikes (PATH) Act, a series of ITINs will expire at the end of 2018. This includes all ITINs that haven’t been used on a federal tax return at least once in the last three years. Similarly, ITINs that have a middle digit of 73, 74, 75, 76, 77, 81, or 82 are also set to expire, regardless of whether the number was used in the past three years. Taxpayers affected by this change and who are planning on filing a tax return next year are required to file a renewal application before the deadline. Working with a Certified Acceptance Agent, who have been authorized by the IRS to assist taxpayers with applying for ITINs. If an application is submitted properly and on time, applicants can expect to have their requests reviewed within 60 days. To speak with experienced Florida tax law attorney Ronald Cutler, P.A. about your own expiring ITIN, please call 386-490-9949 or send us an online message. We look forward to helping you throughout each step of your case.